The system of Karate taught is a blend of Japanese Karate/Ju Jitsu, Wado Ryu and Okinawan Karate, Go Ju Ryu, coupled with a strong Chinese (Quan Fa) influence. Translated Karate means “Empty Hand” and Go Jo as “hard and soft” Quan Fa as “Kempo” Japanese name of China’s fist method. Shizendo’s Curriculum is rooted in principles and concepts which transcends all systems. Principles and concepts are universal, which are natural laws of motion, power and speed etc. With this approach the student can develop a highly skilled flowing powerful body, but more important, a natural powerful flowing body. 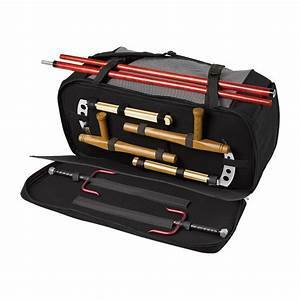 Systems are the building (Blocks) foundations of a particular way or approach, using assorted katas and pairs work developing the student in the way which reflects the type of karate practised. There are many systems of karate and even the same system’s differ greatly but they all share the same idea developing their styles. There are over fifty Kata’s employed in karate, Shizendo Curriculum uses six kata and three waza. 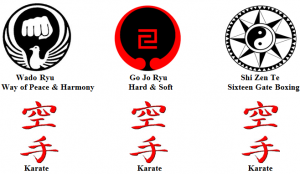 The first section is Generic – Waza, Basic karate, Ippon, Basic pairs work, Renkai, Combinations. The second section Go Ju – Kata, Sanshin, Tensho, Kake, hand drills. 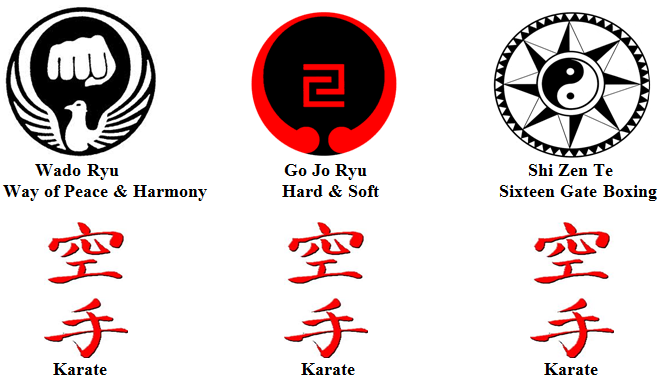 The third section Wado – Kata, Naihanchi, Kusanku, Seishan, Chinto, Pairs work, Kihon Kumite. Shizendo is a method to develop the art (sixteen gate boxing method), it uses natural universal laws of motion. Wado and Go Ju uses soft to overcome the hard, to harmonise with the opponent rather than meet head on. The practitioner of this karate unitises subtle techniques; it’s therefore a flowing art of non-resistance and developing strategic skills in long and close quarter fighting. Each weapon studied is a complete system and involves kata and pairs work to fully understand the concept and principle of these weapons.